Video of the week: T Clark Gamblin "The forgotten male cancers"
The Department of Surgery hosted a public lecture last month (Thursday 2 November 2017), given by Professor T. Clark Gamblin, Chief of Surgical Oncology, Medical College of Wisconsin, Milwaukee. The informative lecture looked at the progression and treatment of “The forgotten male cancers”. 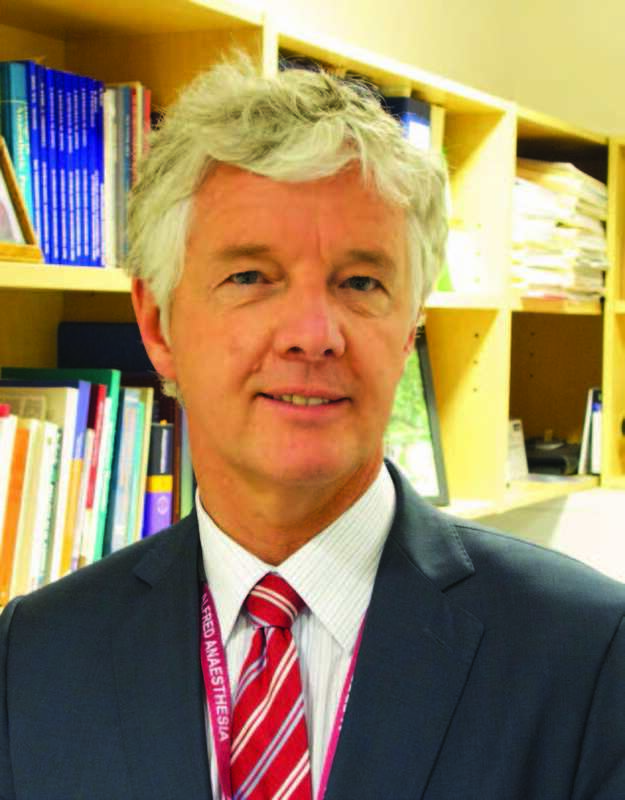 Professor Gamblin, an internationally renowned surgeon specialising in cancers of the liver and pancreas, is a Fulbright Scholar who is visiting Australia on the Fulbright Specialist Program. Central Clinical School (CCS) has regular seminar series and postgraduate presentations. Event notices are posted on the CCS Events calendar. CCS staff and students can see details of both public and local events (including professional development courses, trade fairs and Graduate Research Student calendars) and deadlines, at the CCS intranet's Announcements page. Note, most local seminar series and grand rounds are winding down for the year, with University closedown dates being 21 December 2017 - 1 January 2018 inclusive. Recent publications for Central Clinical School affiliated authors in the following departments. 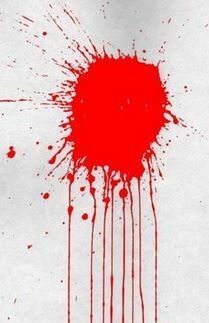 Note, browse down this entry for complete publications list. Linked headings for each section are to the departments' home pages. The EMCR Committee is pleased to launch the 26th Edition of the AMREP EMCR newsletter. For some 30 years, international literature about medical and scientific research topics worldwide has been critically reviewed, summarised and distilled for all to use in what are called ‘systematic reviews’. But with an exponential growth in research, about 7% of these reviews are out-of-date on the day they’re published as the field has moved on, while 25% are out-of-date within two years. Head of Clinical Research in the Department of Infectious Diseases, Associate Professor Julian Elliott, is behind a push for a better model to make sense of this “data deluge”. He and his team are trialing what he has termed ‘living systematic reviews’ (LSR), enlisting methods including online platforms, artificial intelligence and ‘citizen science’ to improve efficiency in the production of the reviews. Congratulations to CCS 2017 NHMRC grant recipients! Congratulations to all of our National Health and Medical Research Council (NHMRC) project grant recipients in Central Clinical School (CCS)! In addition to the CCS based recipients listed below, we would also like to congratulate Dr Nadine Andrew who is in the process of transferring her grants to CCS from the School of Clinical Sciences. Nadine is based at Peninsula Health with Velandai Srikanth’s group. We also farewell Professor Magdalena Plebanski, who is taking on a senior role at RMIT of Enabling Capability Platform Director, Health and Biomedical Sciences. 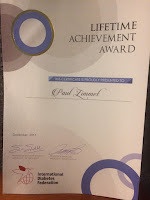 Prof Paul Myles receives ASA Excellence in Research Award! 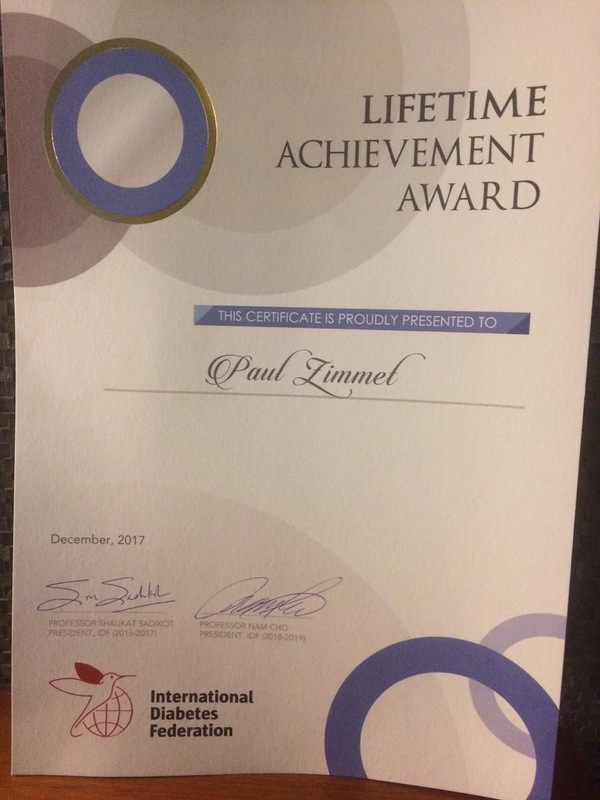 Congratulations to Prof Paul Myles, who has been awarded the 2017 Excellence in Research Award by the American Society of Anesthiologists (ASA)! 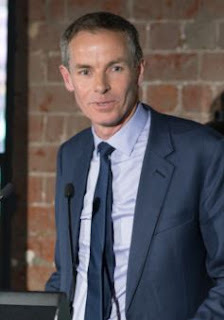 The ASA says, "[Paul Myles] has to be considered among the very best physician–researchers our specialty has ever seen", for not only his capacity to build worldwide teams of researchers and create large trial networks involving thousands of patients, but to focus on meaningful patient-centred outcomes. He's interested in people's feedback to improve their experience. Congratulations to Geraldine Ooi on D.S.Rosengarten Surgical Research Prize! 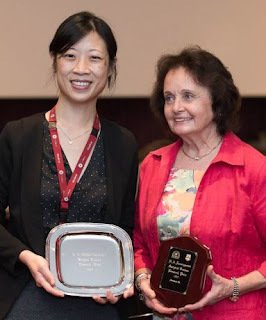 Congratulations to Dr Geraldine Ooi, this year's winner of the D.S. Rosengarten Surgical Research Prize! Dr Ooi presented on: Lipidomic analysis of nonalcoholic fatty liver disease in morbid obesity: Pathologic alterations in liver lipid profile and parallel serum changes with progressive disease. 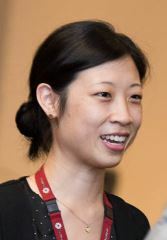 Dr Ooi is a General Surgical trainee undertaking a PhD in the Central Clinical School's Department of Surgery in Monash University and with the Bariatric Surgical Unit, looking at non-alcoholic fatty liver disease (NAFLD) in obesity. She is supported by an NHMRC scholarship and is supervised by Professor Wendy Brown. 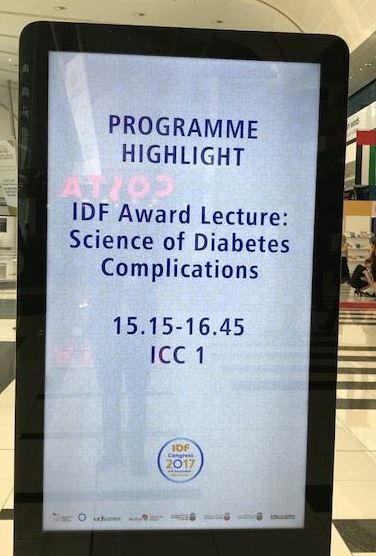 Professor Mark Cooper presented one of the prestigious International Diabetes Federation’s Award lectures in Abu Dhabi on “The science of diabetes complications” which recognised his and his team’s major discoveries in this area. The lecture was titled “Pathogenesis of micro and macrovascular complications: are there common pathways for both?" Prof Paul Zimmet received a 'Lifetime Achievement Award' (right) for his huge contribution to diabetes research. 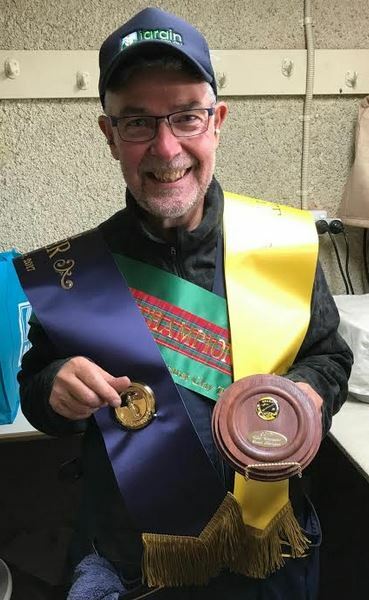 Congratulations to Gavin Horrigan on hitting the targets! 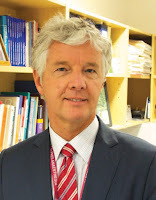 Gavin Horrigan is Central Clinical School's Manager in addition to being a talented shooter. Call out for healthy blood donors to provide a small amount of blood (9ml) as part of the project: A pilot study towards the development of point-of-care testing to diagnose sepsis. The project investigates established and novel biomarkers involved with sepsis. One of the aims of our project is to measure the levels of sepsis biomarkers in healthy donors in order to have a baseline of comparison to Sepsis-positive patients. Since most of the Sepsis patients, who are currently being recruited in the Alfred Intensive Care Unit, are between 60-70 years of age, we are interested in healthy volunteers in the same age group for an 'apples for apples' comparison.